So earlier this week, during my short window “free” time with my 2 year old daughter, I decided to make a quick run to the local thrift shop. I am not sure what it is about shopping “vintage” but it gives me an accomplished and thrilling feeling when I find something that interests me. Maybe it’s because I used to go a lot with my mom as a child and she always found the best stuff. I remember her friends would always be in awe at the items she claimed she got second-hand. So in short, it gives me a nostalgic yet satisfied feeling. I think it’s nice to share vintage finds because among the junk you can really find some pretty treasures. I purchased the silver frame for $1.00 and the embroidered fabric was $1.99 (housed in its own frame). I removed it from the original frame and re-framed it into the silver one. Voila! 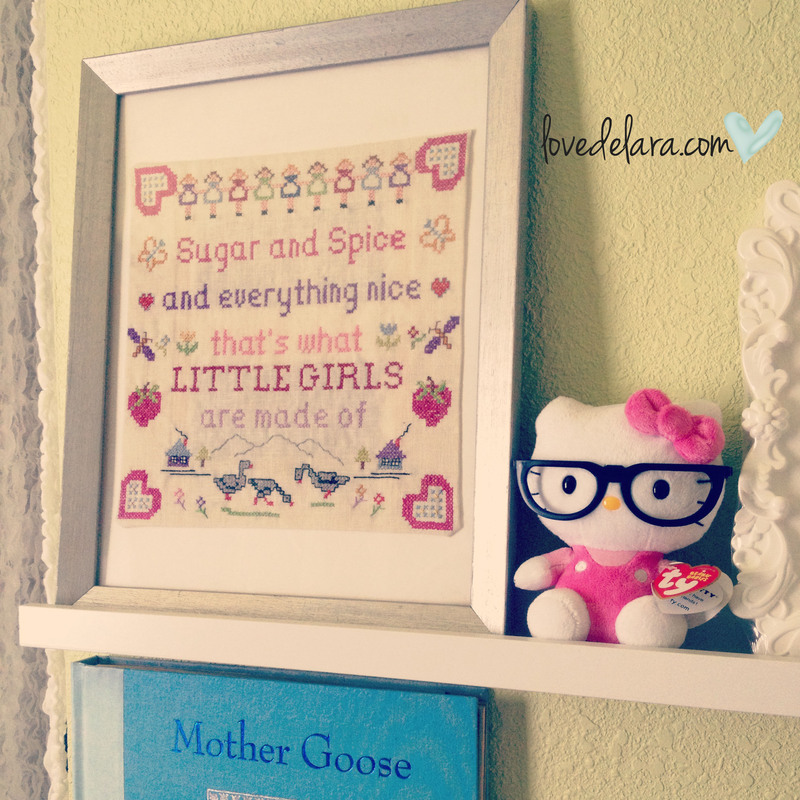 There you have it, cute wall art for my daughter’s room all for three bucks. I think i’m ready for my tea party after I sanitize and goo-gone the darn price tags. YAY! For those of you unsure about shopping at thrift stores…I think you should definitely give it a go, because you never know what treasure awaits you. You really have nothing to lose! 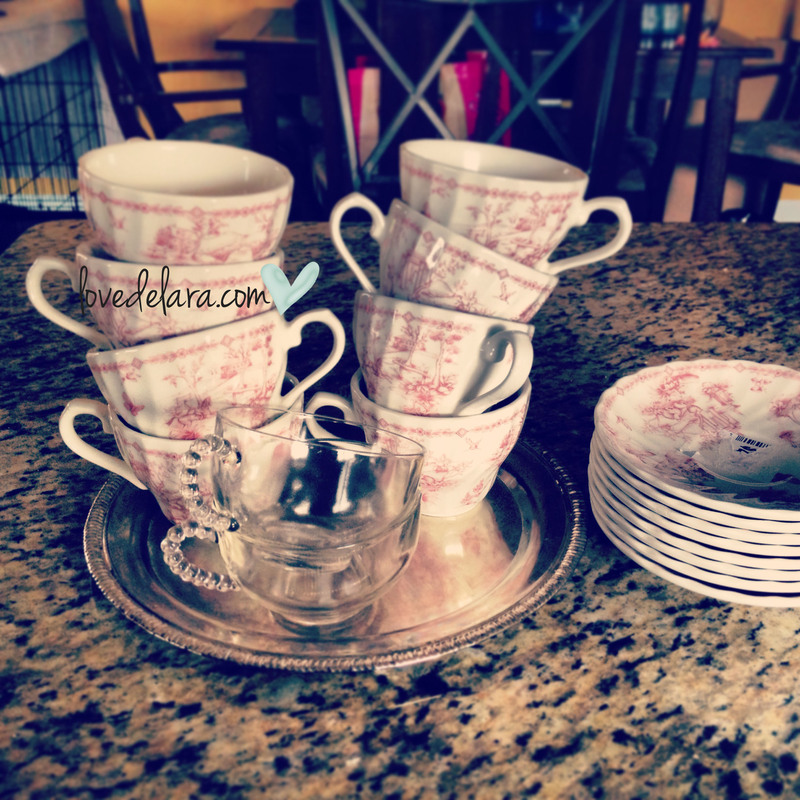 This entry was posted in On the Daily and tagged secondhand, Shopping, Tea, tea cups, thrifting, Used good, wall art. Bookmark the permalink. Thank you! I couldn’t leave without them lol.